Pirates swept the Typhoons aside for the second weekend in a row and, in doing so, racked up their 100th league goal of the season in a match accentuated by bursts of scoring and periods of play in which they dominated, but couldn’t find the net. The home side were ahead as early as three minutes in when Walker opened Pirates’ account on the powerplay, but they were pulled back within ninety seconds as Typhoons, now with a man advantage equalised through Grant for 1-1. Pirates had the bulk of the play thereafter but the go ahead goals didn’t actually appear when until the eighth minute when, while playing shorthanded on both occasions, they scored twice in under fifty seconds through Guy and Thorp to give their side a cushion at 3-1. They netted a fourth in the 13th minute as Crute was handily places to shoot home, and seconds before the buzzer Walker got his second to give the home side an already comfortable 5-1 advantage going into the first break. The pattern of play was repeated in the middle session as Pirates beat a steady path to netminder McPherson, but the goalie was having a great night as shots were sticking to his gloves and pads like magnets, until the 27th minute when Martyn Guy neatly took the puck round him to score the 6th. 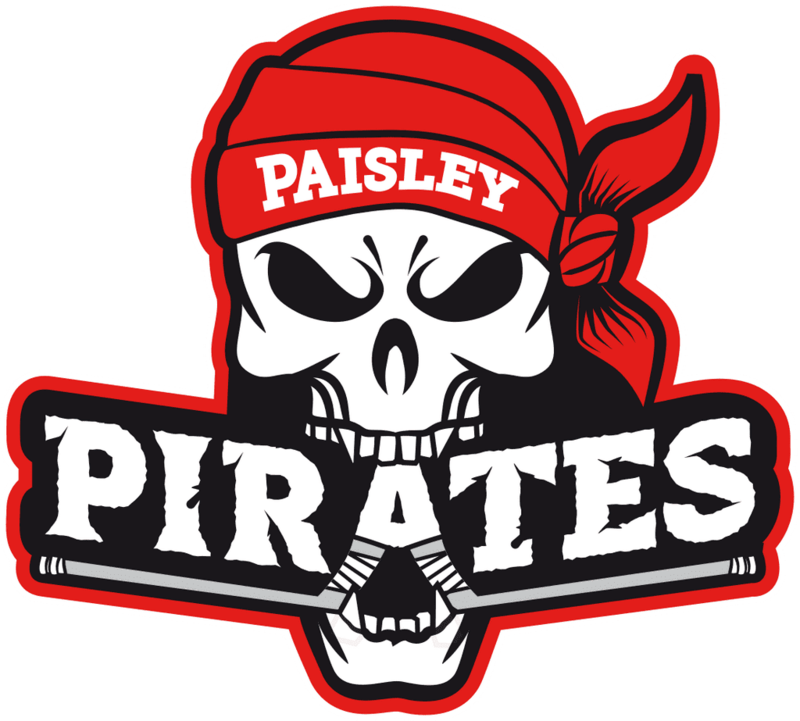 Pirates’ 7th, and their 100th League goal of the season, duly arrived after 31 minutes as skipper Chris Turley fired in an unstoppable effort, and a further pair from Guy, securing his hat trick, and a first from Haydn Bain, took the score to 9-1 by the 2nd buzzer. The third session continued as the previous two, with Pirates mostly on the offence, with Meechan in goal equal to the occasional shot which came his way, and the goals came early in the session as Haydn Bain scored a double either side of the 45th minute to complete his own hat trick, and take the score to 11-1, and while the hosts continued to press, they couldn’t find another counter, with Thorp coming closest with a shot which came back off the bar with 5 minutes left. Pirates will be happy to clinch another two points and continue to push Kirkcaldy and Dundee Comets at the top end of the league table.. They are back in home action next Sunday when they take on North Ayrshire Wild in a league derby (face off 6.00pm).